For instance, contact shape and composition can have unforseen effects: in a moist environment, curved contacts (intended to be self-wiping and to have high contact force because the contact area is limited) can become (on either side of the contact area) capillaries to draw oxides and contaminants which have absorbed the moisture and become soupy, in to the contact area. Low voltage/current switching lacks the power to electrically-self clean, while high-current, high-voltage, or a combination of both, can damage surface plating. Silver oxides are conductive, but silver, in general, surrenders to sulfides, and in some environments becomes resistive. The circuitry can have a massive effect on relays, especially where inductive and capacitive effects are allowed to change the arc characteristic when contacts make or break. Power-switching relays should always have some kind of arc-reducing circuitry, but there is a potential (pardon the term) for arcing over short distances even in low-power circuits. So it really is important to have close familiarity with relays and a deep understanding of the circuitry they are used in (or going to be used in). This is complicated by still-ongoing debates over Stabilants and Contact treatments: while their manufacturers offer pages of glowing reviews and scientific-sounding mumbo jumbo about their characteristics and positive effects, disgruntled electricians and electronics technicians (and automotive techs as well) have provided plenty of commentary on chemical/lubricant/sludge creep and contamination. And, of course, the bottom line is affected by every technique used to improve relay action, contact life, contamination control, or 'after-market' treatment. 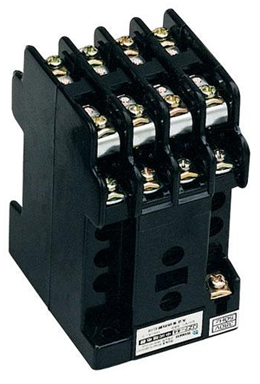 The manufacturer of good relays is usually characterized by reps who understand the relays and are armed with a battery of documentation on relay characteristics, and may be polymaths, capable of advising you wisely on proper materials, conformations and circuitry for your application, environment, and budget. However, if you are working on a pre-existing system, you are always better off looking at the repair technicians' reports, analyzing for common failures, short lifetimes and area/environment dependencies. The most important thing is to avoid maintenance action by fiat: just because the hairy-eared mechanic claims that burnishing contacts of relays restores them to perfection does not mean that it isn't damaging them. For my part, I've always found it justified to requisition a relay for destructive analysis: disassemble it, examine contacts, pivot points and pins with a microscope and read the manufacturer's in to determine what you're dealing with. Then do the research to ensure you understand the physical, electrical and chemical ramifications of the real world where the relays are used. Oh, and if they're sealed relays, drop one in a pot of water for a week before opening it, just to be sure. Then, visit the engineers who are designing circuitry that uses relays and find out what sorts of things they are taking into account: when you see the repair reports, you may discover that the engineers' assumptions don't match the relays' living spaces!